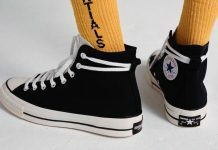 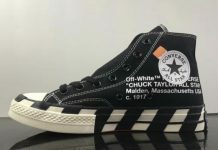 Following the successful Fall 2015 launch of the revolutionary Chuck II sneakers, Converse unveils the latest incarnation of the Chuck Taylor All Star II, the most forward-thinking Chuck Taylor in over one hundred years. 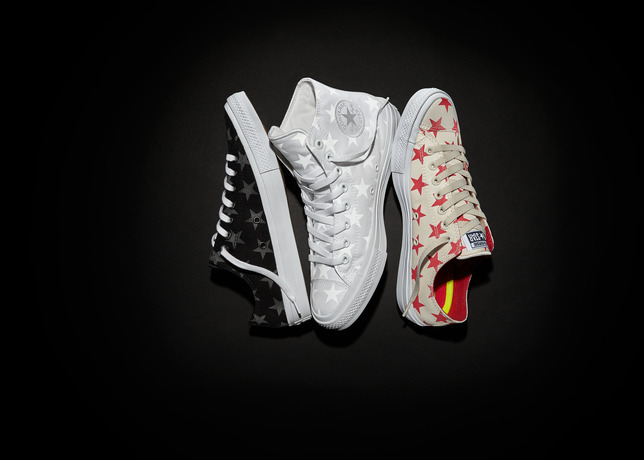 Launching in Spring 2016, the Converse Chuck Taylor All Star II Reflective Print Collection continues the Chuck II journey, updated with a series of street-ready prints that bounce striking patterns when hit by bursts of light in low-light environments. 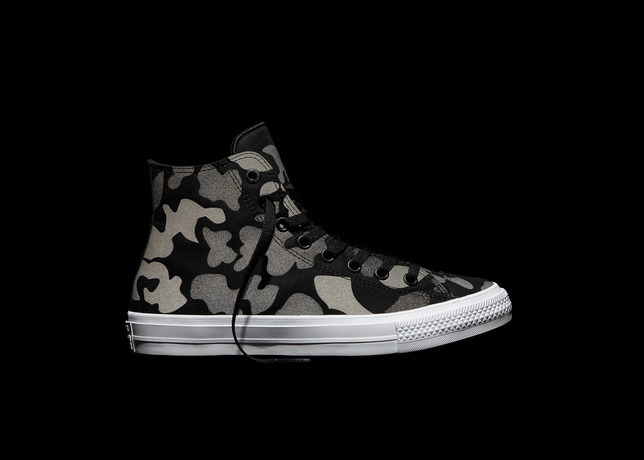 Designed and built for the next generation of creatives, the Chuck II Reflective Print sneaker combines the enhanced comfort of a Nike Lunarlon sockliner, nonslip padded tongue and micro-suede lining, with durable reflective print canvas uppers for added low light visibility and style. 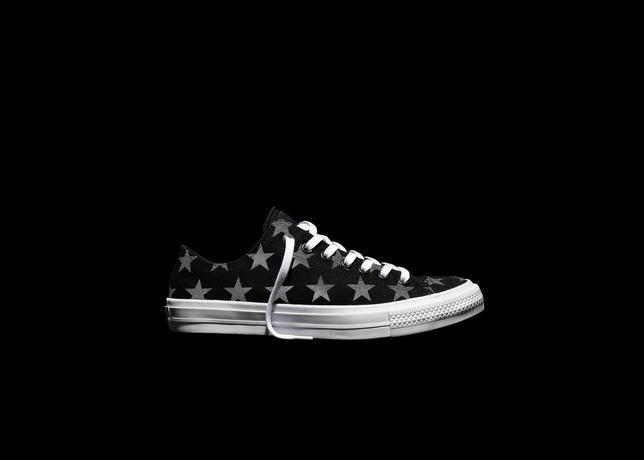 The exterior print details elevate Chuck Taylor’s most recognizable features with a fully embroidered All Star ankle patch, high foxing and monochrome matte eyelets. 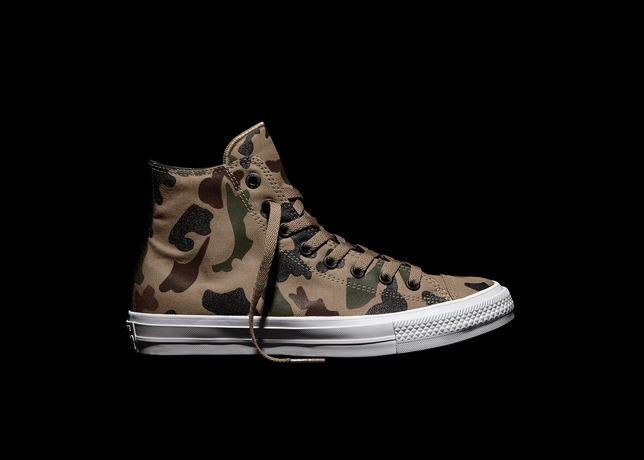 This new release reimagines two of Converse’s most iconic prints, Camouflage and Stars and will be available in both hi-top and ox silhouettes. 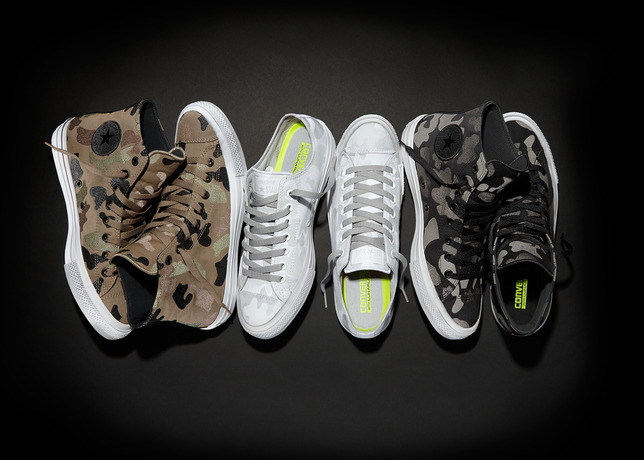 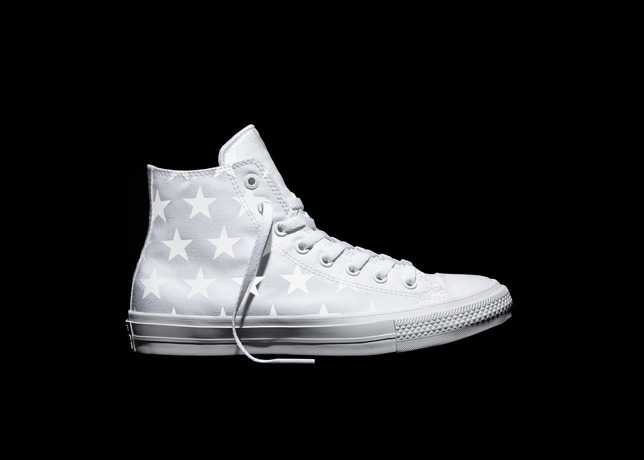 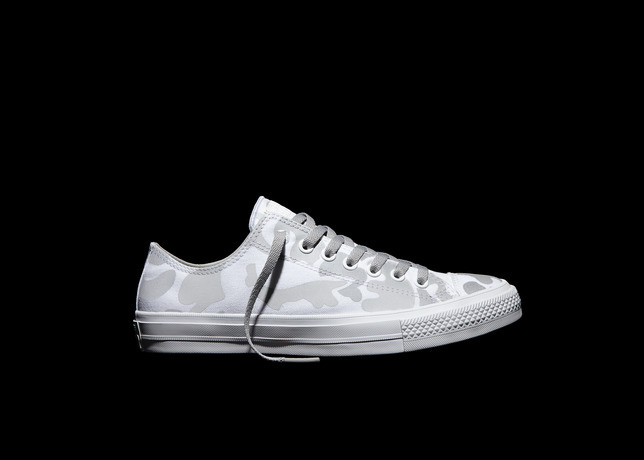 The new Converse Chuck Taylor All Star II Reflective Print Collection will be available in Camouflage starting March 3, 2016 at Converse retail stores and online at Converse.com with the Stars print following in April. 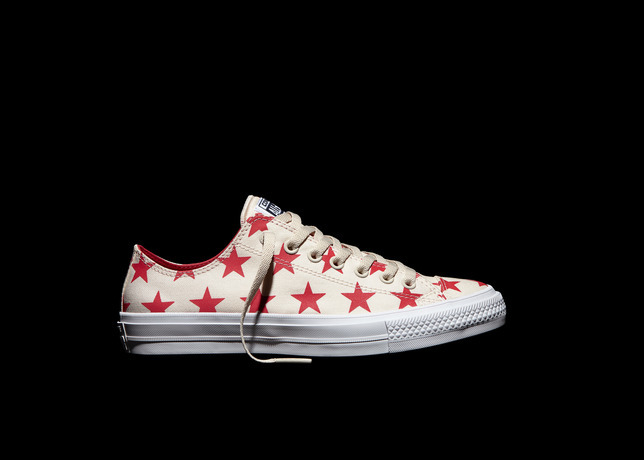 The collection will retail for $80-85 USD.